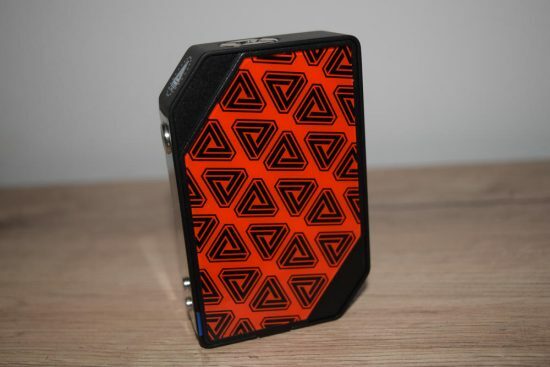 Get a great price on the Limitless LMC Box Mod from Vapor DNA. 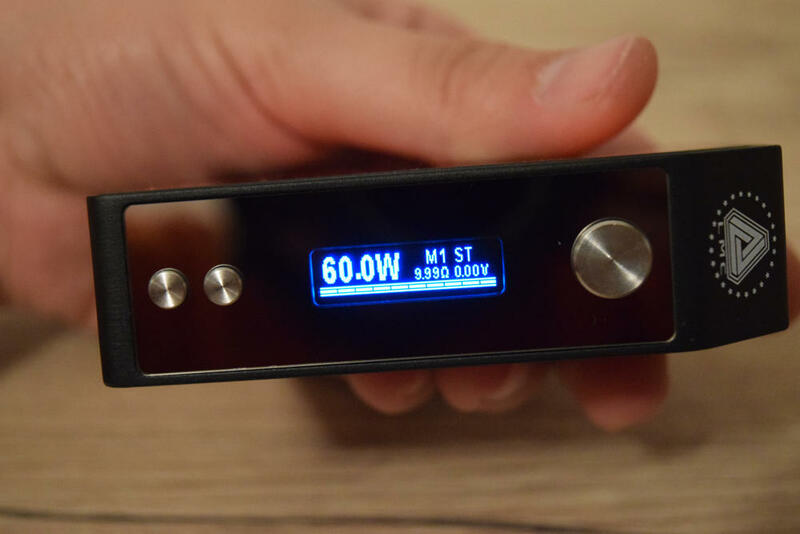 The Limitless Mod Company is mostly known for customizable mechanical mods and the high-quality Limitless RDTA collection, but this year they’ve taken their first step into the regulated vaping mod sector with the 200W Limitless LMC Box Mod. 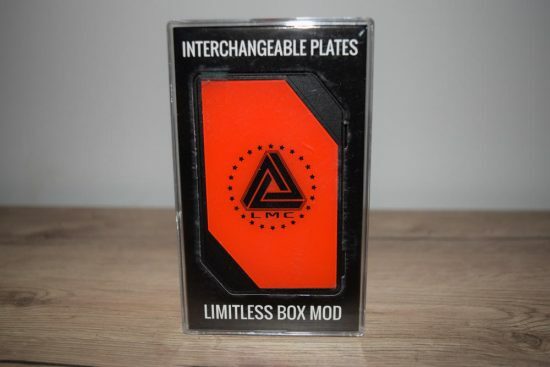 This is a device developed in-house by Limitless, with a board that I personally have never seen before, and a very intriguing customization system that involves magnetic plates. 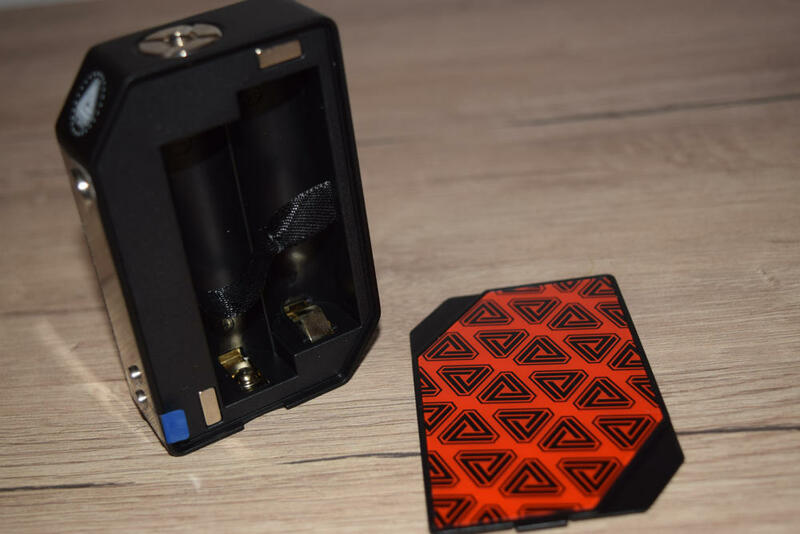 In this review, we’re going to take a close look at the LMC Box Mod and see if it has what it takes to compete with the plethora of innovative devices coming out of China these days. 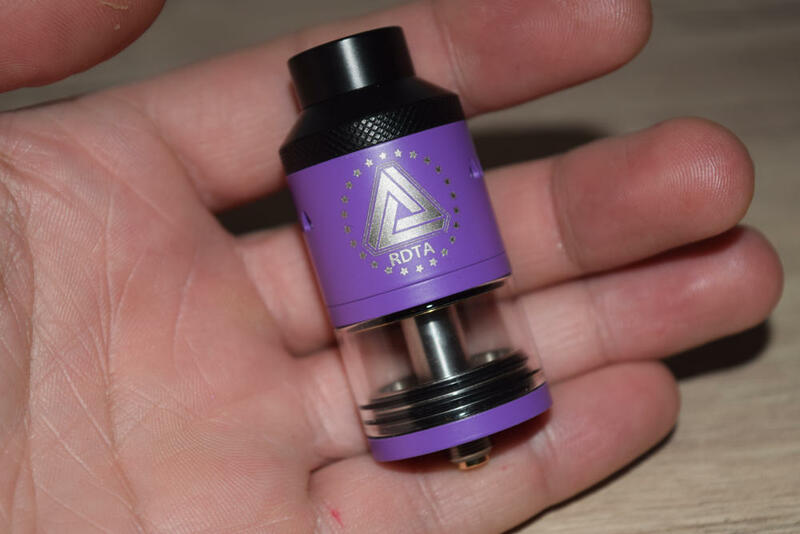 If you’ve never actually used any Limitless products before, but the name sounds oddly familiar, you may have heard about its collaboration with Chinese company iJoy on the original Limitless RDTA and the iJoy/Limitless Lux 215W mod. 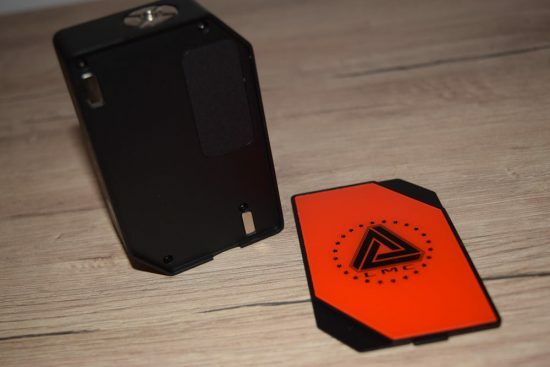 They had a falling out a while ago, and I don’t know if they’re back on friendly terms now, but one thing is for sure – the LMC premium box mod is designed and developed exclusively by Limitless. 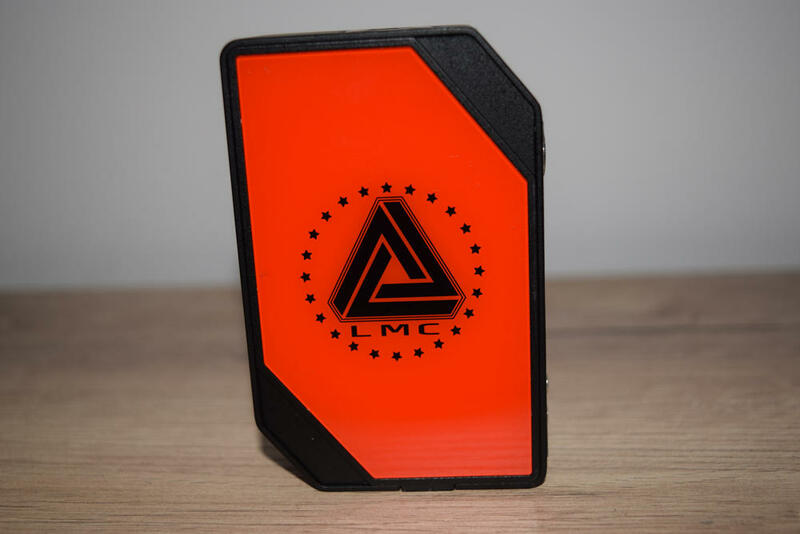 The Limitless LMC comes in a plastic case with very little information on it. There’s basically only a safety disclaimer on the back and the Limitless Mod Company name and logo on the sides. You’re not going to find any contents list or product description, as you usually see on Chinese device packaging. The inside is just as frugal – you get the mod and a thin instructions leaflet. I was expecting Limitless to at least include a USB upgrade cable, but after checking out the device and seeing that it doesn’t actually feature an upgrade cable, I realized that would have been useless. 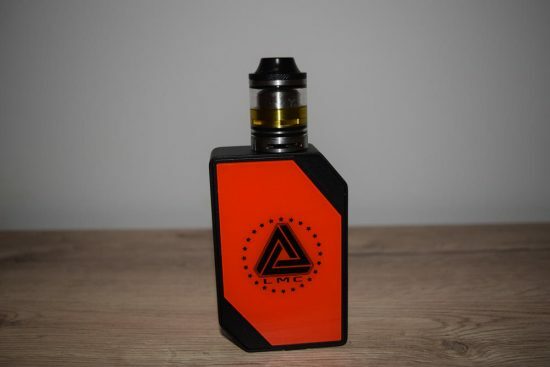 So the LMC 200W box mod is not upgradable, what you get in the box is what you’re stuck with. 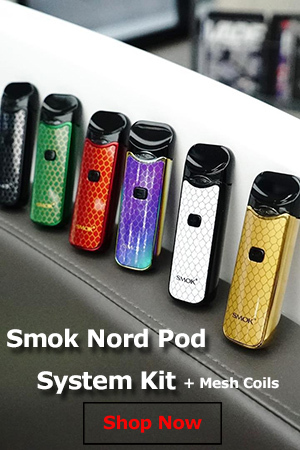 That’s pretty strange, to be honest, especially in a time when firmware upgrades have become the norm for the vast majority of manufacturers, with some even coming up with new systems, like over-the-air upgrades (see the SMOK Quantum mod). This wasn’t the greatest first impression, but I wasn’t going to let that curb my enthusiasm, especially after seeing how good this mod looks and feels in the hand. 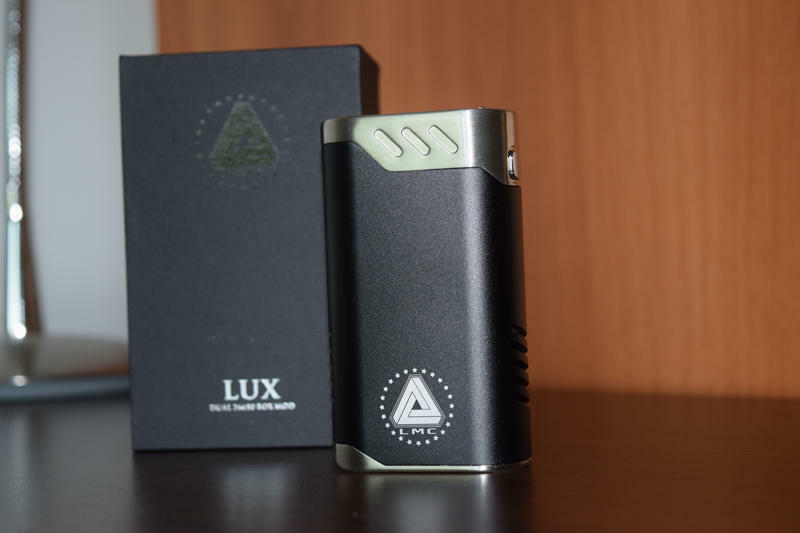 Measuring 92 x 63.5 x 23.8mm, the Limitless LMC Box Mod is not the smallest dual-18650 device on the market, so if you have small hands or simply hate bulky mods, you’d probably be more interested in something like the SMOK Alien 220W. However, if you’re looking for something that’s built like a brick and has some serious weight to it, the Limitless LMC is about as good as they come. The rectangular chassis stands out thanks to two “sliced off” corners, removable decorative plates – one of which also acts as a battery door, and the mirror finish of the display. All in all, it’s a very good looking mod, one of the best looking I’ve ever used, that’s for sure. There’s also a lot of branding on it – both magnetic plates feature the LMC logo, the Limitless Mod Company name also appears on one of the sides of the device, and there’s also another logo on one of the sliced corners. That’s a lot, but for some reason, it doesn’t bother me one bit. I don’t know if it’s because I actually like the logo design, or because I like being constantly reminded that I’m using a Limitless device, but I really have no problem with it. 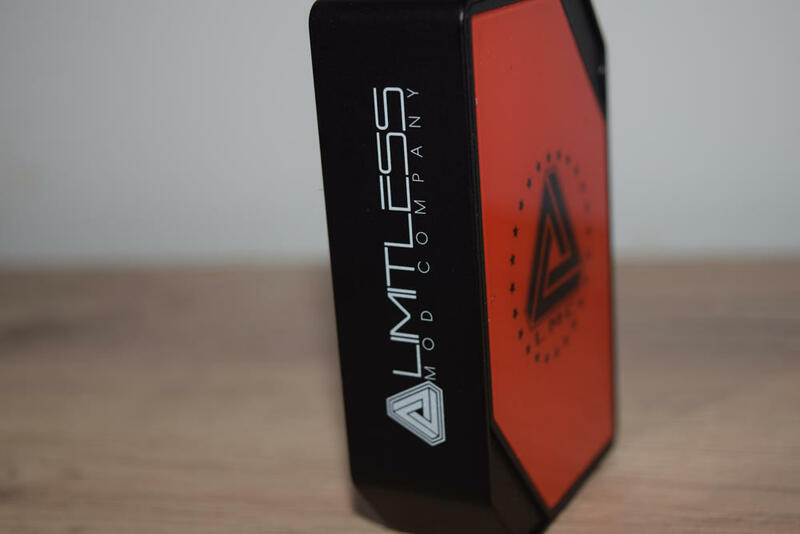 The interchangeable magnetic plates on both sides of the mod are one of the main features of the Limitless LMC. 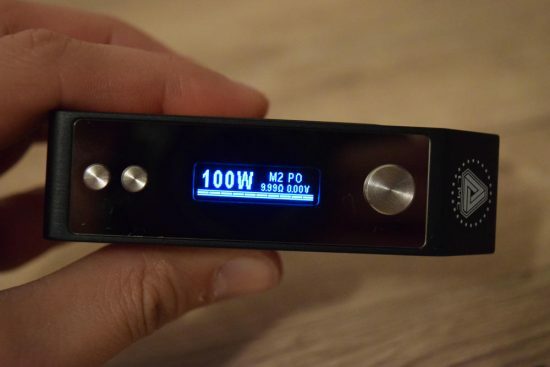 The company has a reputation for valuing customization, and their first regulated vaping device fits in line with the rest of their products. 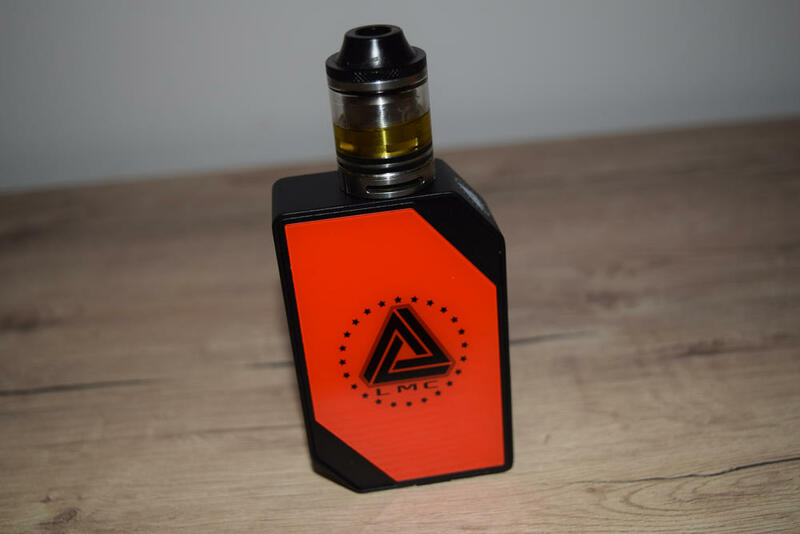 The mod comes with a couple of red and black magnetic plates that go really well with the matte black finish of the device, but if you want to completely change the look of the device, you can purchase various other colors and designs for about $25 a set. That’s pretty expensive, but these are high-quality accessories. Instead of the cheap stickers other companies offer, Limiless has opted for sturdy metallic plates that attach to the mod with strong magnets. Once they’re in place, they’re virtually locked on, so you don’t have to worry about them wobbling or coming off accidentally. It’s a really well-thought out customization system which should serve as an example to other manufacturers. The plates come with a protective plastic film, and I would think twice before removing it. These things are gorgeous to look at, but the glossy finish is extremely prone to scratching. I dropped mine on the table by mistake and I immediately noticed some serious scratches in the lacquer. They are only visible from certain angles, but if you want to keep them in pristine condition, I suggest keeping the plastic film on for as long as possible. The mirror display of the Limitless LMC Box Mod is another interesting feature. Most people seem to hate it, mainly because it’s a fingerprint magnet – that’s true – and because it’s difficult to see in direct sunlight. That last part doesn’t really apply to the LMC mod thanks to the bright blue color of the display, which is visible in any lighting conditions. I for one love it, I think it goes very well with the design of the device, so I definitely wouldn’t call it a con. The three buttons – a large fire button and two smaller adjustment buttons ‘+’ and ‘-‘ – are all metallic, so I expected a bit of rattle, but you can’t hear a thing, even when shaking the device vigorously. That’s a big pro in my book, and a testament to the build quality of the Limitless LMC mod. Finally, the 510 connection has a spring-loaded stainless steel pin and accommodates 25mm atomizers without the slightest overhang. Everything I’ve tried with it so far sits perfectly flush on the mod, so if you’re worried about any gaps, don’t be. The only thing I can complain about is the lack of battery venting holes. I don’t know why Limitless decided not to implement them, maybe they thought they would ruin the design, but if worse comes to worse, those tiny holes make a big difference. 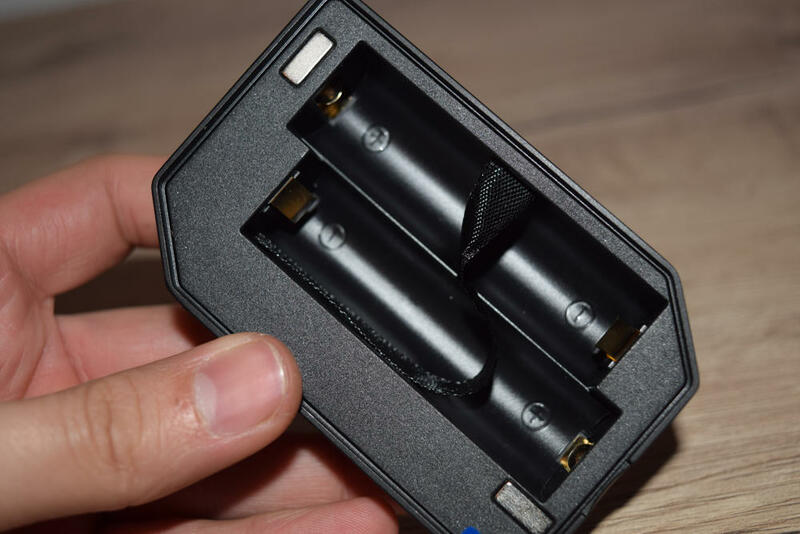 Luckily, the LMC mod has all the necessary built-in protections to prevent overheating, short circuits, and low battery output. I have no preconceived ideas regarding Chinese mods. In fact, I love most of my SMOK, iJoy or Joyetech devices, but there’s just something special about the Limitless LMC Box Mod. It feels great in the hand, the build quality is flawless, there’s no rattle whatsoever and the design is definitely to my liking. Whatever subjective cons anyone may have are definitely outweighed by the pros. I’ve used many different devices over the last five years, but never anything like the LMC mod. I have no idea what type of board Limitless used on this, if it’s something developed by them, or simply a less known solution, but it definitely takes some getting used to. Turning on the device is a simple affair – just press the large fire button five times in rapid succession. That sounds familiar, right? But that’s where the similarities with other boards end. From here one in, things get weird and frustrating. Let’s start with the display. On the left side we have the wattage/temperature, and on the right we have the current memory settings (M1, M2 and M3), the pre-heat settings – PO (Powerful), SO (Soft) and ST (Standard) – the resistance of the atomizer and the real-time voltage. Under neath all this information we have a long horizontal bar, which is the battery indicator. I honestly have no problems with the layout of the display, it’s a bit different, but all the important information is always available on the home screen. Navigating between settings and making changes are a whole other story though. Let’s start with the most annoying thing – changing the wattage/temperature. This is usually as simple as pressing the ‘+’ and ‘-‘ buttons until you reach the desired power output. But not on the LMC mod, here pressing the ‘+’ button lets you scroll through memory modes, and pressing the ‘-‘ button, lets you change the pre-heat setting. To be able to change the wattage/temperature, you have to press the ‘+’ button once until the ‘M’ symbol starts to flash, at which point you have to press the ‘-‘ button to make the wattage/temperature flash. Only then can you use both the ‘+’ and ‘-‘ buttons to change the power output. To input the changes, just press the fire button. There’s another way to do it though, but it’s not simpler. You press the fire button five times to access the settings menu, and then press it again to scroll through the options until you reach the wattage/temperature. Then you make changes using the ‘+’ and ‘-‘ buttons and press the fire button again to move to move to the next menu option until you reach ‘Exit Menu’, and confirm with either the ‘+’ or ‘-‘ buttons. This is just one example of how frustrating the menu navigation can be. Why not just make it simple, and allow me to change the wattage/temperature by simply pressing the ‘+’ and ‘-‘ keys directly on the home screen, without having to use button combinations or accessing the options menu? It really makes no sense. You get used to it after a while, but it can be really frustrating at first. The options menu is not very complicated – you only have Power Mode, Auto Adjust Power, Screen Rotation, Power Adjustment, Power Off and Exit Menu to choose from – but having to use a weird system of navigating and confirming changes makes it a big pain in the behind. It’s just complicated and unnecessary. Luckily, locking the device and locking the resistance are done the old fashion way – rapidly pressing the fire button three times, and holding down the ‘+’ and ‘-‘ buttons, respectively. I don’t particularly like to estimate the battery life of variable wattage/voltage devices, especially the ones that use removable batteries, because there way too many variables to keep in mind. Everyone uses different atomizers, different power settings and different capacity batteries. But I did want to mention that the Limitless LMC Box Mod seems to use batteries slightly more efficiently than other mods I’ve tested in the past. 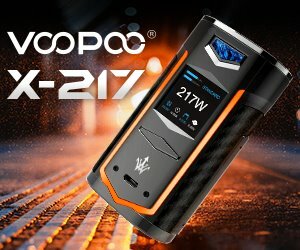 I’ve been using it with both LG HG2 3000mAh batteries and VaporFi 2500mAh batteries, and I’ve gotten some impressive vaping time, especially with the former. Vaping at 60W, in Powerful Mode, I get about 10 hours of use out of the LMC mod with the LG batteries. That’s about 2 hours more than what I get from my iJoy RDTA Box or the SMOK G-Priv, for example. Obviously, I can’t perfectly recreate the vaping experience across all these devices, so the difference might not be a full two hours, but its’ definitely significant enough to notice. My bet is that the Limitless device drains the batteries more than the other mods before cutting off power due to low voltage. Even more impressive is the fact that the Limitless mod hits a lot harder in Powerful Mode than the other two devices in Hard Mode. I don’t have the proper tools and software to run the numbers, but I am certain that the power output of the LMC mod is higher. And that doesn’t seem to be taking a toll on battery life. In terms of actual performance, I was very impressed with the Limitless LMC mod, especially in wattage/power mode. I am well aware of the benefits of temperature control, and even though I use it from time to time, I remain a big fan of good ol’ direct power output. First of all, the LMC mod has virtually no firing the delay. You just press the button and you instantly hear the juice sizzling on the coils. Sure, you can say the same thing about most advanced mods these days, but what really sets this device apart from pretty much everything else I’ve ever used is the power ramp-up time. Even when using the Standard pre-heat setting, you can start drawing as soon as you press the fire button, and you still get a mouthful of warm vapor. Most other mods require a second-or two to get the coils nice and hot, but not this thing. It’s really a joy to use for a power mode fan like me. I can’t really say too much about temperature control mode on the LMC mod. I’ve tried it with a stainless steel build and it seems to do a good job controlling the temperature, but the vape is considerably hotter than with other mods on the same temperature setting. Again, I think it’s that power ramp-up time that makes the difference. If you want more information on temperature control, I suggest checking out the review of someone more knowledgeable in this department, like Phil Busardo or Daniel Djlsb Vapes. Interestingly the wattage adjustment in temperature control only goes as high as 50W, but even so, the device seems to use the power very efficiently to deliver a warm vape when it needs to. The Limitless LMC Box Mod came out more than six months ago, which, in this fast-moving industry, makes it a somewhat older device. But in this case, older doesn’t mean worse, or outdated. On the contrary, it’s still one of the best vaping devices money can buy, and definitely one of the best I have ever tried. I love the design and build quality of this device, its weighty feel in the hand, and most importantly, the way it vapes. The power it is able to deliver in wattage mode is nothing short of impressive, and I am inclined to say it’s the best device I’ve ever used, in that regard. 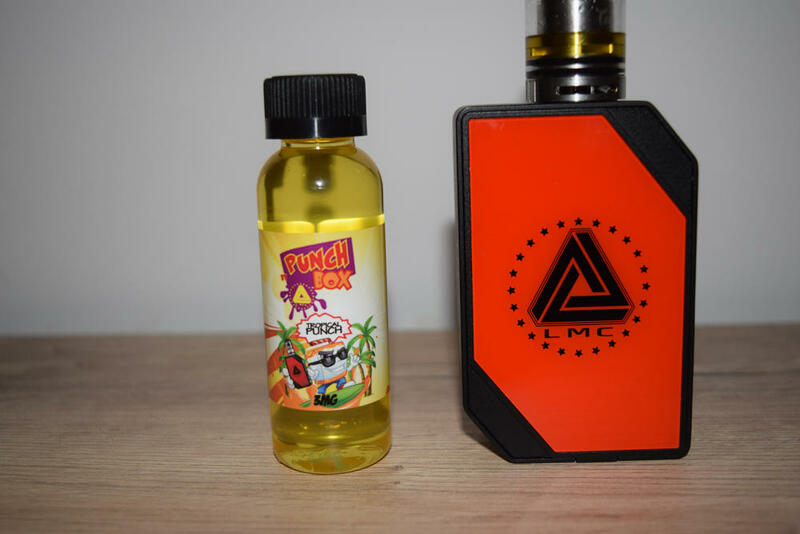 But there’s no such thing as a perfect mod, and the LMC box mod definitely has its flaws. There’s no upgrade port, so there’s not way to update the firmware, and the menu navigation system is a pain to deal with. The lack of battery venting holes is also a significant con in my book. Overall, though, I think the Limitless LMC Box Mod is a great device. It’s currently listed at around $70, but it seems to be sold out everywhere. If you can find one, I suggest you pull the trigger immediately before someone else snatches it from under your nose. You won’t regret it!